Top 10 Classic Pieces For Fun Fashion! Lucky Magazine has shared 10 pieces you could technically live without, but might as well have for fun and taking your look up a level, right? In addition to the Must-haves for the Fabulous Fashionista, we think these are totally worth sharing, too. 1. The boot-cut jean, the cut that flatters everyone. 2. The striped tee, what French girls wear. 3. The Army jacket, a staple that makes any outfit cooler. 4. The slouchy cardigan, easy and great over dresses. 5. The motorcycle boot, the boots that make you a badass. 6. The peacoat, warm without being bulky. *You should just have one of these. It's a must! 7. The slipdress, endlessly versatile. 8. 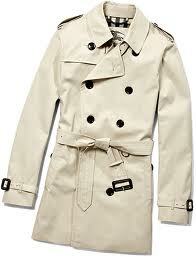 The trench coat, instant sophistication. *Again, another you absolutely should have. 9. The ballet flat, the gold standard of flat. *Another must. Even if you can spend hours in your heels, concrete is the arch-enemy. 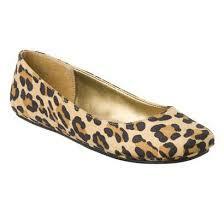 Put on cute flats to spare your treasured stilettos--and still look amazing! 10. The plain button-down, boyishly preppy. Hope you enjoyed these. How many do you already have?